BIS G.CH. Oeste's Stealing The Starlight - "Lucia"
Lucia was awarded Best in Show at the Santa Clara Valley KC Show in February 2014, defeating 950 dogs. She was awarded Reserve Best in Show the previous day. These wins came only 6 weeks into Lucia's career as a special began. 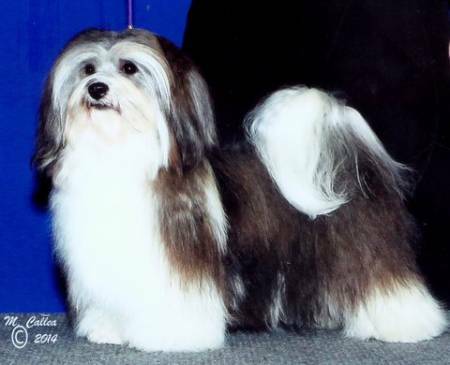 She is living up to her name and "stealing the starlight" from her older sister Feliz, who was #1 Havanese in 2013.